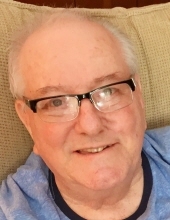 Frank J. Bossmann, 74, of Ewing Twp. passed away Sunday, January 13th at Merwick Care Center. Born in Trenton, his family moved to Michigan where he spent most of his younger years until their return to the Trenton area. Frank worked for many years at Altenburg Piano House as a manager/piano salesman and later in life had his own piano tuning business. He was a member of the Piano Tuner’s Guild. Son of the late Frank and Anna Bossmann, he is survived by his wife Kathy Bossmann, two daughters, Christy Bossmann-King (Brian) of Wellington FL, Stacey Crannage (Gregg) of Ewing NJ, a sister Janet Cox (Don) of N. Beach Haven NJ, five grandchildren, Brian King Jr., Addison King, Bryce King, Austin Crannage, and Benjamin Crannage, and many nieces and nephews. Calling hours will be Friday from 6-8 p.m. at the Wilson-Apple Funeral Home, 2560 Pennington Road, Pennington. The interment will be private. Condolences are welcome at www.wilsonapple.com. In lieu of flowers, contributions can be made to the American Cancer Society, PO Box 22718, Oklahoma City, OK 73123-1718. To send flowers or a remembrance gift to the family of Frank J Bossmann, please visit our Tribute Store. "Email Address" would like to share the life celebration of Frank J Bossmann. Click on the "link" to go to share a favorite memory or leave a condolence message for the family.